Dr. Ruth Chen is a Professor of Practice at the College of Engineering and Computer Science  at Syracuse University. An environmental toxicologist, she previously served on the faculty at the School of Engineering and Applied Science, Washington University in St. Louis (WUSTL), focusing on environmental risk assessment, energy and environmental economics, and risk management decision making. She also led a professional engineering master’s degree program and an international education program at WUSTL. 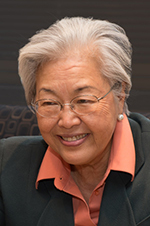 Prior to her career in academia, Dr. Chen served as State Toxicologist for the Tennessee Department of Environment and Conservation (TDEC), responsible for risk assessment and risk management decisions for programs in permit, remediation, corrective action, combustion facilities, toxic substances, and landfills. In that capacity, she received a bio-monitoring grant from the Centers for Disease Control and Prevention and an outreach grant from the Environmental Protection Agency to investigate pesticide exposures to products from Velsicol Chemical LLC. She also provided expert counsel to the TDEC Divisions of Superfund, Water Supply, Water Pollution, Air Pollution, Radiation Health, and Community Assistance on issues relating to human health and toxicology. She simultaneously served as Certification Officer responsible for managing Tennessee’s Drinking Water Laboratory Certification Program. In the area of risk assessment, Dr. Chen was a Staff Fellow at the National Institutes of Health working on pharmacokinetics and detoxification of Tylenol. She also has served as the Human Health Epidemiologist for the Tennessee Department of Health, working on risk communication, environmental health, environmental remediation, and occupational health. Dr. Chen holds a Ph.D. and MPH in Environmental Toxicology from the University of Michigan and an MS in Biomedical Sciences from the University of Texas Health Science Center, Houston. She and her husband, Chancellor Kent Syverud, are the parents of three grown sons: Steven, Brian, and David.